When it feels easy to pay for something, it might just make us feel less connected to what we're buying, a new U of T Scarborough study says. 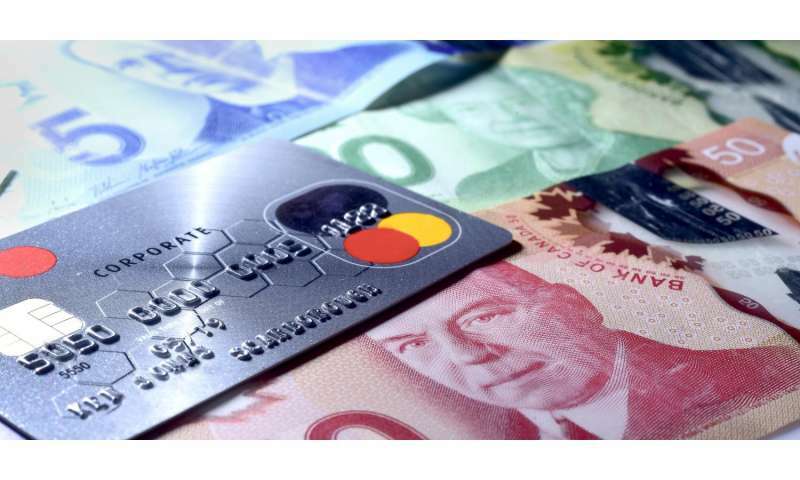 "Debit and credit cards rule the marketplace, and while going cashless is convenient, that convenience may come at a price," says Avni Shah, an assistant professor of marketing at U of T Scarborough and the Rotman School of Management. Across two experiments Shah and her colleagues at Duke University and the University of North Carolina-Chapel Hill looked at the potential consequences of paying with cards over cash by focusing on how connected consumers felt towards what they bought. The first experiment asked participants to buy a coffee mug normally priced at $6.95 for the discounted price of $2 with either cash or credit. Two hours after the purchase they were then asked to sell back their mugs at a price of their choosing. Despite the fact it was the same mug owned for the same amount of time, those who paid cash wanted nearly $3 more than those who paid with a card. "Those who paid with cash also reported feeling more emotionally attached to their mug," says Shah. In the other experiment the researchers wanted to eliminate possible reasons for the cash-payers charging more for their mugs because of the effort tied to finding an ATM and paying bank fees, or the added bonus for card-payers earning rewards points for their purchase. Here participants were given $5 in either cash or voucher to give to one of three charities and a ribbon lapel pin corresponding to the charity they chose. "We found that people who donated by cash felt more connected to their chosen charity than those who donated by voucher. Cash donors also reported feeling less connected to the charities they didn't chose," says Shah. "In other words, paying by cash made people feel more attached to what they bought and less connected to what they didn't buy." So why is it that paying with cash makes you value something more than paying with a card? Shah says it comes down to something called pain of payment. "You feel something when you physically part with your money, and there are different levels of pain depending on the type of payment," says Shah, whose research focuses on the costs associated with payment and how it affects consumer preference and choice. "Something tangible like cash will feel more painful to part with than paying by cheque, which will feel more painful than paying by card and so on." The effect extends beyond just cash and credit to include other mobile forms of payment including cell phones, smart watches and new products like Apple Pay, notes Shah. As North America continues to transition towards an ever increasing paperless economy, she says it's important to understand what the implications of these new payment systems will be for consumers. "There are shorter product life cycles and if consumers are feeling less connected to the products they're already buying, just add easier access to credit and higher consumer debt levels and it's a toxic combination," says Shah. There's been some positive systems in the marketplace that Shah points to as helpful to consumers including the recent Interac commercials extolling the virtue of cash over credit, and even mobile apps that remind consumers of when a purchase has been made on their account. "These should be encouraged because they can help consumers more careful, deliberate and meaningful purchases," she says. The study is available online and published in the current edition of the Journal of Consumer Research.